Theodor Herzl was born in 1860 in Budapest, Hungary, and raised by an Orthodox Jewish father and an unobservant Jewish mother. It was quite a journey from there to becoming the founder of the World Zionist Organization and an influential figure in the establishment of the state of Israel. Fueled by anti-Semitic attitudes of late-nineteenth-century Europe, Herzl promoted the concept of an entirely Jewish state, a homeland for Jewish people, in Palestine. He published "The Jewish State" in 1896, in which he outlined a theory to employ diplomacy to get other powerful nations to support the foundation of such a nation, and thereby liberate the Jews from a constant state of poverty and repression. 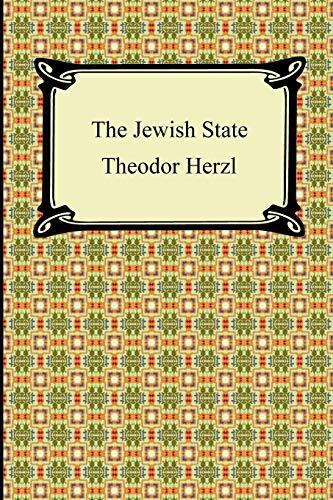 This work has been reprinted in over eighty editions, in over eighteen different languages, and has been an integral force in the promotion of a Jewish national identity.